Walmart’s tale of disruption, from its small redoubt in Bentonville, Arkansas, is the stuff of business legend. Starting with small town stores, Walmart knocked off Sears and K-Mart, took on groceries and is now the largest (by revenue) company in America with over $510 billion a year in sales. It didn’t happen by accident. 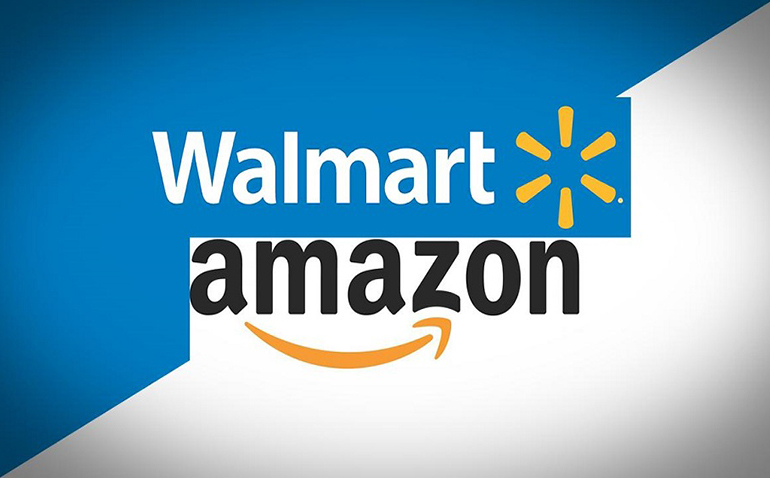 From its early days in the 1970s, Walmart was a pioneer in deploying the latest and greatest technology to fine tune its supply chain from vendors to distribution centers to store loading docks all in the pursuit of “Every Day Low Pricing”. Walmart has a stock market value of $279 billion and enjoys a 26% (#1) market share in U.S. groceries. Kroger is 2nd at 10% with Albertson’s 3rdat 5.3%. Enter Amazon, widely recognized as one of the world’s premier disruptors and the most successful of all the dot-com companies. Amazon jumped into groceries in 2017 with its $14 billion purchase of Whole Foods and its 470 stores. Its U.S. grocery market share ranks 8that just 1.6%, but Amazon is the undisputed leader in e-commerce and web services with annual revenue of $208 billion. In addition, Amazon’s status as a Wall Street darling has earned it a stock market value of $968 billion, second only to Apple. Amazon’s mission statement, “We strive to offer our customers the lowest possible prices, the best available selection and the utmost convenience” has a familiar “low price” ring to it. The front line for this high tech logistics battle is the online sale and delivery of groceries. Online sales are just 2% of grocery sales today, but industry analysts expect them to grow at 17% a year to reach $100 billion by 2022. Before it is over expect to see robots, drones, driverless delivery vehicles and smart speaker interfaces like Alexa. Amazon is now delivering groceries in 12 cities and testing 2 hour delivery in 4 U.S. cities. Walmart has “Online Grocery Delivery” in 6 markets and plans to reach 100 metro areas by the end of 2018. These aggressive and capital intensive actions put extra pressure on what is already a thin margin business. In March, Southeastern Grocers, the parent of Bi Lo and Winn Dixie, filed for bankruptcy. In July, rumors surfaced that Target and Kroger were in merger talks. Who will win this food fight? No one knows, but here are some takeaways. Disruption is a given in the 21stcentury – innovate, adapt or die. Economies of scale matter: Amazon has dominate scale in e-commerce with both customer relationships and 100 million Prime members. Walmart has dominate scale in customer relationships and in bricks and mortar with 5,358 stores or clubs across 49 states. New online and delivery offerings from the big players will pressure smaller players who have limited access to capital. The shakeout is under way. There will surely be more bankruptcies, partnerships and consolidation. The nature of perishable items is problematic for centralized delivery systems like the one Amazon has perfected and appears to benefit Walmart’s large national footprint. In the end, if history is any guide, the consumer will be the biggest winner.